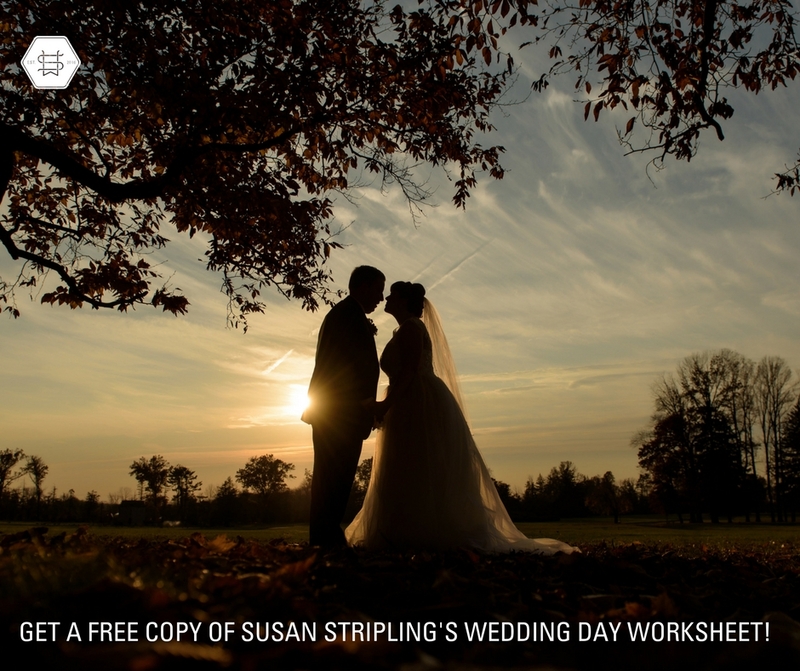 Get a FREE copy of Susan Stripling's Wedding Day Worksheet! One of the most valuable tools that I have created for my business is my Wedding Day Worksheet document. It helps me stay organized, get to know my clients and their day, plan a timeline, and so, so much more. Get it now by joining our mailing list! What is included in this worksheet and why is it important? Learning the key players of the day. Who is part of the wedding itself? How do you contact the wedding couple, and an emergency contact? How many contacts do you need to be able to reach, and why is this crucial data to have? Creating the timeline of the wedding day itself. How has the couple envisioned the day going? Is a wedding planner involved, and how can we leverage that to our advantage? How can you, as the photographer, help the day be a success? Learning about the Ceremony and Reception. In this part of the Wedding Day Worksheet document, you’ll get all the details you need to understand every crucial element of the wedding ceremony and reception. This will go over location and timing, as well as ask some important questions that will help you to capture this part of the day with grace and ease. Names and details of the Family and Wedding Party. Getting to know these important players is really helpful when establishing relationships before (and on the day of) the wedding! Get on the same page in terms of style. In this part of the Wedding Day Worksheet document you’ll learn to ask very important questions to make sure everyone is on the same page with regard to your style and the coverage of the wedding day! Organizing the Portraits and Logistics. This is quite certainly the most important part of the entire Wedding Day Worksheet. This is the part of the form where you’ll learn to organize family formals, figure out what family groupings the clients want captured, and really hone in on the logistics of when and where this part of the day is going to take place. Obtaining key vendor information. Who are you working with at the wedding itself? Getting to know your collaborators before the event itself will help as you build a relationship with these other wedding day vendors! Current contact information. How will you get in touch with your clients post-wedding? Why do you need this information? Does this Wedding Day Worksheet sound useful? I thought so! Now you can have your very own copy. All you have to do is join our mailing list. That’s it. It really is that simple. Click here to get your free copy of my Wedding Day Worksheet. Once you sign up, you’ll get a welcome email with a download link to the Wedding Day Worksheet. I hope that you enjoy it a much as I have enjoyed creating and refining it over the years! To join our amazing Facebook community and talk more, click here!